Paasche Airbrush Company is one of the main airbrush manufacturers that has been providing airbrush products for more than 100 years. The company produces not only airbrushes but also air compressors, spray booths, and other related equipment. Their manufacture is based on the patented unique design of the products so there’s no mistaking Paasche and other brands. In our store, you’ll find a wide range of Paasche devices including the Paasche HSSB-22-16 Airbrush Spray Booth. 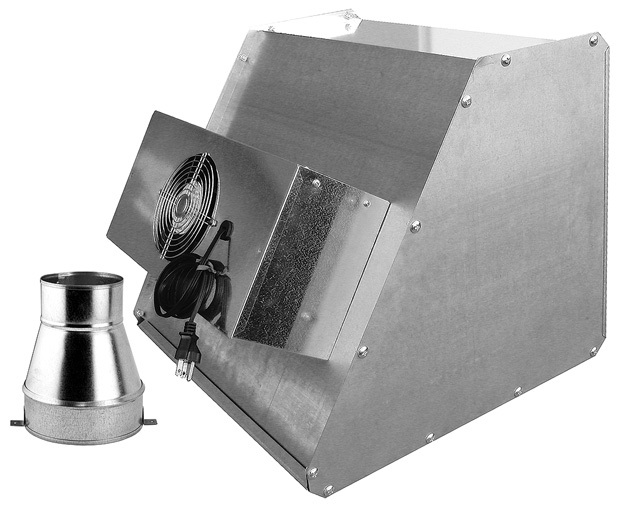 The Paasche HSSB-22-16 airbrush spray booth is a tabletop booth, suitable for using spray cans. This airbrush booth is compact, portable and easy-to-use. Due to its small size, the spray booth won’t take up much space so you can put it even in a bag. Another essential feature is that you are able to assemble and disassemble the device. The item consists of several parts like a plug connector, an air out, filters and frame itself. Use step by step OPERATING INSTRUCTIONS AND REPLACEMENT PARTS to learn more about parts of the spray booth and to assemble the item. The device includes the carbon and the fiberglass filters that remove heavy particles and fumes. For this reason, there is a 4" dryer hose, because it helps to vent exhaust fumes. The air passes through the booth and then gets through the filters. 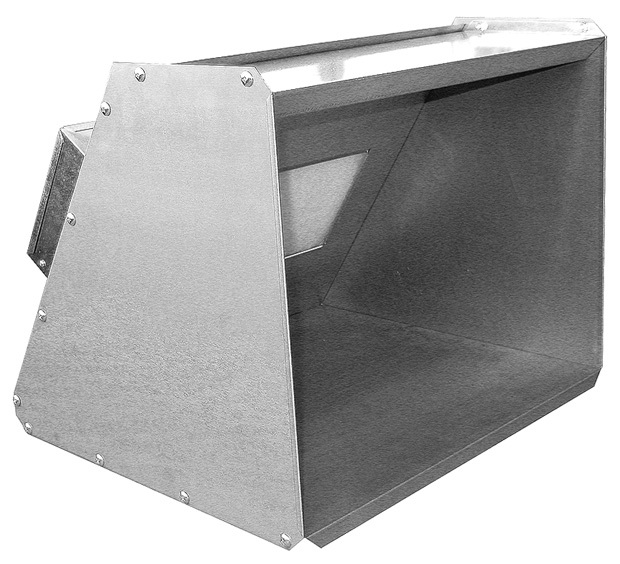 Another key point to mention is that the device has galvanized metal panels for easy cleaning and maintenance. 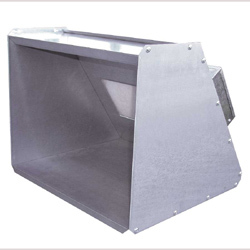 Such construction also improves the durability of the item and you can enjoy using the HSSB-22-16 spray booth for a long period of time. 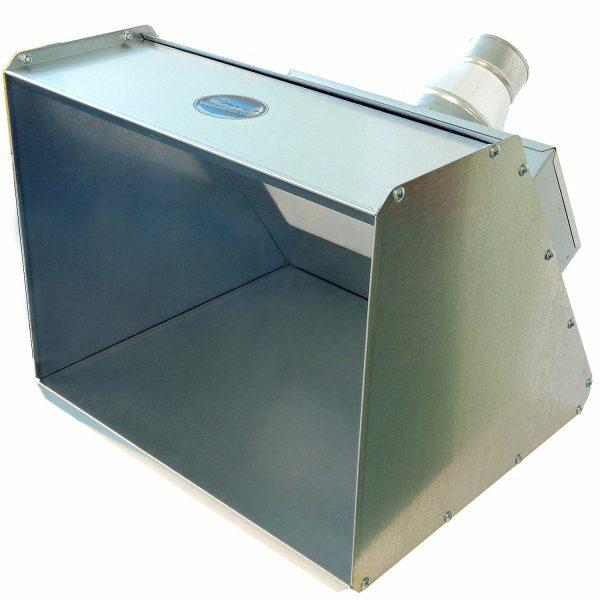 All that makes the HSSB-22-16 spray booth a perfect match for hobby and craft spraying projects. Just place an object you want to coat into the booth and spray the paint on it. For operating the airbrush spray booth you need to use water-based and non-flammable paint. Take note that the system doesn't remove hazardous materials from the air. Thus, do not use the HSSB-22-16 spray booth with hazardous, flammable and explosive paints and elements. If you spray substances that have strong vapors or dangerous chemicals, do not forget to vent the room. If necessary, wear a protective mask, gloves or goggles. Please do not use toxic glazes as it can lead to the booth damage! 24" x 23" x 8"